Beliefs and consciousness are not the answer. They are social restraints designed to keep you enslaved to a system as this video shows. Certain people are well-defined, yet mostly connecte to their physical. Others are primarily in their head. These are also levels of minimal expression. These beliefs are your entire world. These beliefs also are a way of conforming. When we step outside beliefs that are actually beliefs you have adopted as your own, you access new levels of your own reality. You have your personal brand of frequency just as you have your own unique DNA and fingerprints that are absolutely unique to you. Limited aspects of consciousness and awareness keep you isolated from the whole. We do not use the word consciousness for this very reason. What we want is to open our cells to let go of all pre-programmed ideas and fall in with the natural law to love and heal at a higher frequency. Frequency of universal pulse and universal breath. In the scheme of things there is enough for everyone to have their own frequency just as you have your own unique DNA and fingerprints that are absolutely unique to you. Beliefs and consciousness are just a stepping stone to questioning generalised reality. 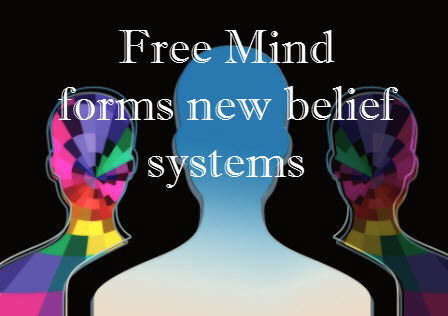 Beliefs are social restraints intended to trap you as a puppet of to a system. Beliefs turn us into followers who are easily deceived. This has been your establishment since your were born. You were taught to believe that anyone who claims to be a teacher has influence over you. This binds our senses to what is accepted as normal by a particular group of people. These days people think of tantra as a spiritual way of explaining inappropriate behavior. Let's not fool ourselves on that. The spiritual con has perpetuated the internet to the point that people are addicted to that concept as foundation to love. When you engage in sexual activity with your teacher you are connecting with their energetic field. This energetic field attaches itself to you and comes home with you. This act affects and infuses itself into everything you do. That energy disturbs free will. New experiences and new expressions change your belief systems. New perspective on life can dramatically turn your life around.